There are so many potential healthcare concerns that today’s seniors need to be aware of. One of the many conditions for seniors to be on the lookout is vascular dementia. If you aren’t already familiar with vascular dementia—here are all of the basics about this condition that every older adult should know. Vascular dementia, also known as multi-infarct dementia, is the second most common cause of dementia in older adults. While it is not as widely known as Alzheimer’s, many people may not be aware of the signs of vascular dementia when they are faced with the signs and symptoms. However, it does attribute to 15 to 20% of dementia cases in older adults. Unfortunately, vascular dementia is difficult to diagnose because it is rather complex in nature. How Does Vascular Dementia Compare to Alzheimer’s disease? With Alzheimer’s disease, the brain’s nerve cells break down. Vascular dementia is different—it occurs when part of the brain doesn’t get enough blood, which carries the nutrients and oxygen the blood needs. This can happen when the vessels that supply blood to the brain become narrowed or blood. While some people suffering from a stroke will get vascular dementia—it doesn’t happen with every stroke patient. More typically, vascular dementia can develop over time, after someone has several “silent” strokes. 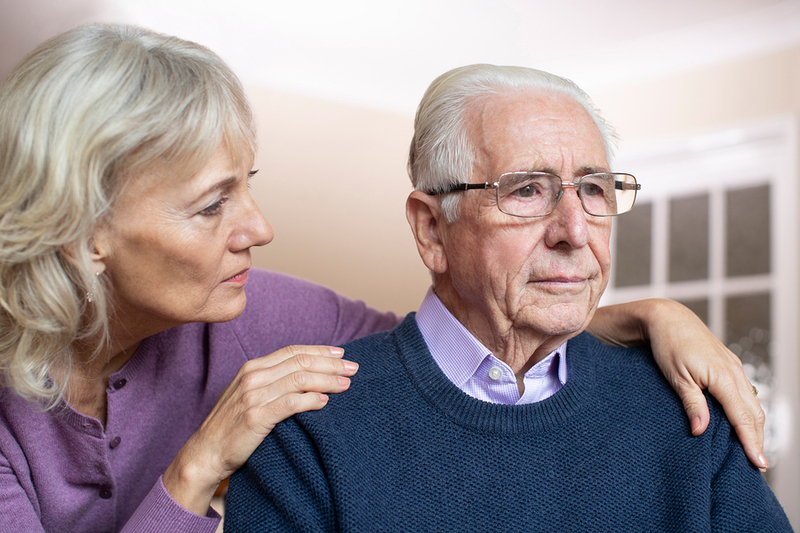 While vascular dementia can be relatively difficult to diagnose, there are some significant signs and symptoms to be on the lookout for. However, these symptoms can be similar to those presented in Alzheimer’s related dementia. One of the biggest differences in these two types of dementia is that it most noticeable impairs coordination or balance. Typically, people with vascular dementia will have issues walking or balancing, especially early on. While this can be a symptom with Alzheimer’s dementia, that typically doesn’t occur until much later in the progression of this disease. These symptoms often get worse during a stroke. Typically, when diagnosing this type of dementia, doctors look for symptoms that progress noticeably and quickly, while dementia associated with Alzheimer’s tend to progress at a slow and steady pace. All seniors and their caregivers should be aware of these signs and symptoms of vascular dementia—so they can pay attention to the signals of this common type of dementia.